Why Video Cassette Recorders (VCRs)? According to estimates in 2003, 90% of European homes already have at least one Video Cassette Recorder (VCR) being used in them. And while many people are now upgrading to DVD for movie playback, our tried and tested VCRs still do one thing that DVD players can't yet do - record your favourite show. Sure there are recordable DVD players about, but they are still very expensive and until the format war has been settled most people would prefer to wait and continue using their video cassette recorders for time-shifting. Nearly all VCRs manufactured today use the VHS format. Although there are a number of different types of VHS decks available, most models differ only by the number of features they include - or don't include. Mono VCRs are the bare-bones option. These inexpensive VCRs will allow you to watch movies while listening to the soundtrack in mono through your television's internal speakers. Mono VCRs can also record, but since they can't process soundtracks in stereo, they are not suitable for home cinema systems. Most popular nowadays are hi-fi stereo VCRs which are generally well worth the small amount over and above their mono counterparts. Stereo hi-fi VCRs also allow you to connect your VCR to a home cinema system. On some of the newer, more sophisticated models you can easily connect your camcorder as well and edit previously recorded tapes. Beocord V8000 from Bang & Olufsen is the ideal VCR for matching up with your existing B&O home cinema system or for just recording TV programmes for later viewing. It matches Beocord DVD1 - Bang & Olufsen's free-standing DVD player, both in colours and in size. Any hi-fi VCR has four or more recording/playback heads. Some very basic VCR models have just two heads. These models cannot record video as accurately nor play back stereo or surround audio. But for a kid's room it might be adequate. For children, kitchens or where space is at a premium TV-VCR combos often make an excellent choice. In these models, the TV and VCR are contained in a single cabinet. This means that it's extremely easy to set up and to carry around with you. If you're a more demanding videophile, you might want to consider S-VHS or digital VCRs. Super VHS or S-VHS models deliver very high resolution from standard video sources. 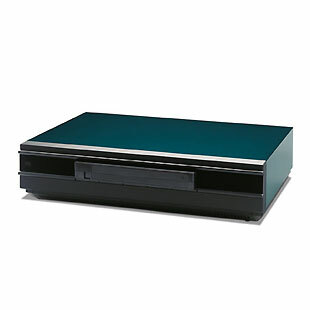 Digital VCRs allow you to make recordings from digital sources without any loss of resolution. Currently, digital models will only work if you are taping from satellite or digital cable TV. But as digital broadcasting becomes more the norm, digital VCRs will become a more practical investment. A mono VCR can be had for around 100 euros. However, for just a little more you can buy a VCR with hi-fi stereo sound which makes a lot of sense, even if you are not using it as part of a home cinema system. TV/VCR combos sell for around 300 to 500 euros. As one might expect, adding features increases the cost of your VCR. A stereo hi-fi VCR with editing capabilities will cost about the same amount with prices increasing for S-VHS models. Some features are important enough that you probably shouldn't consider them optional. For most people this would include four-head, hi-fi capability. You may also want to consider a universal remote, one-touch recording and easy-to-use programming features. Features such as auto head cleaner, automatic movie rewinding, and high-speed rewind aren't completely necessary, but they do add convenience. VideoPlus / ShowView - this allows you to program your VCR to record selected TV broadcasts automatically. To record a TV programme it's just a matter of entering a numerical code found in your TV listings pages; your VCR does the rest! Previous to Bang & Olufsen's first VHS video recorder - the Beocord VHS80 - the company used the V2000 video standard with Beocord V8800. Grundig announces a new V2000 recorder featuring Auto Reverse, which enables the tape to be played or recorded for eight hours, for around £625. While only 9% of UK households own VCRs, the ongoing price battle pushes towards a £299 machine in the near future. The USA gets Super Long Play with 8hr video tapes. Japanese and European manufacturers agree on 8mm video as the format for home movies; JVC launches the first VHS-Compact machine. Coaxial switches are introduced and Channel 4 is launched. The V2000 format is on its way out, with the sales of VHS and Beta recorders soaring as Japanese manufacturers flood the market with basic VCRs at attractive prices. Video Disc players priced at £199 are sold as part of a launch for the new CED (capacitive electrode disc) format which was developed by RCA and Hitachi. The system uses a stylus to read audio/video information from tiny grooves (in much the same way as a record player). Satellite TV is predicted to be available by 1986. The CED video disc market is in a mess as RCA ceases production of players in the US and CBS ends CED disc production. Meanwhile, it is hoped that an influx of inexpensive Korean-made VHS decks will bring down home-recorder prices prices even further. Panasonic launches the first hi-fi Stereo VCR in the British market: the VHS NV-850 for £700. The Sharp double-VHS deck arrives in the UK for £1,000. Kodak announces its KodaVision system: a Panasonic-made 8mm camcorder. But it never reaches the UK. The 8mm format finally arrives when Sony launches its CCD Video 8 camcorder for £1,100. Germany introduces Video Programme System (VPS) codes which automatically reset video timers if programmes are running late. SCART leads are first sold. The plug is pulled on the V2000 format and 8mm/VHS twin-deck VCRs are on their way, but not until the 1990s. Sanyo admits a trend towards VHS and away from Beta. LCD screens increase to 12,5cm and HDTV is expected within the next three years. ID-TV (Improved Definition TV) is 'top of the pops' in Japan. First reports this year of CD Video comprising a 12cm disc which will be able to store 10min of analogue video pictures and digital sound. JVC launches its first Super VHS VCR, the HR-S7000, in Japan. It boasts hi-fi sound and promises 400-line resolution for around £1,000. Sony announces its ED (Extra Definition) Beta format which promises an extra 100 lines of resolution, but has never sold outside Japan. Panasonic launches the £449 NV-G21B VCR, which can set the timer using bar codes. Philips formally announces the launch of CD Video and later unveils the £500 CDV-475 combi. Cordless headphones are tested. Sony finally gives up on the Beta format and succumbs to the power of VHS. There is a European agreement for an S-VHS specification and JVC predicts that S-VHS will take 66 per cent of home video sales by 1992 and 85 per cent by 1997. Philips brings out the CDV 475 for £499, a CD Video player that flops. Sony announces the development of a high-band (Hi8) 8mm video in Japan. The IBA gives its backing to the BBC-invented NICAM stereo system. Sony's Video Walkman, the GV-8, goes on sale for £800. Sony demonstrates its new Hi8 format with the CCD-V900 camcorder. ITV kicks off the NICAM-stereo TV transmission trials, while the BBC drops plans to test its own invention! The 'Today' newspaper prints bar codes for VCR recording for use in a short-lived pre-Video Plus Panasonic VCR with a barcode reader built into the remote control. The UK Government outlines plans for a fifth terrestrial channel. Philips announces a new range of large screen TVs including the 8841, a 41in set for £2, 200 featuring a flat, square, black matrix screen. Dolby develops Dolby 3 Stereo and video games make a comeback with the launch of the Sega Mega Drive. Programme Delivery Control (PDC) is reported and CD-i (CD Interactive) is ready to launch and is described as having the audio quality of CD plus a host of visual enhancements such as graphics, text and animation. Philips announces its intention to build a large LCD TV, while VideoPlus is set for a Christmas debut and there is a report on the hope of a laser disc rebirth. At the CES show in Las Vegas, Pioneer announces a re-recordable laser disc, though only for professional/broadcast use. Philips announces plans to launch CD-i in the UK in September, saying between 50 and 100 software titles and a portable player with a 15cm LCD screen will be available. The launch date is brought forward to April and the first demonstration given in June. JVC announces plans to have a digital VHS on sale in Japan within two years. The UK's first 16:9 television, the Philips' £3,500 8906, is reviewed. The BBC tests widescreen transmissions. The idea of video on CD moves a step closer as numerous companies sign up to an agreed format based on the MPEG1 digital Full Motion Video (FMV) standard. It allows up to 74min recording. Philips releases its long-awaited portable CD-i player. Panasonic announces the world's first dedicated Video CD player - the SC-VC10 - offering MPEG1 digital video and digital sound. DVD is announced. Sharp announces the world's largest (51cm) flat screen 'hang-on-the-wall' TV. Digital TV is reported as being 'just around the corner'. Toshiba prepares for battle with Sony and Philips over DVD. JVC announces plans for digital VHS, claiming DVD will be too expensive. The Hollywood Digital Disc Advisory Group is formed to set a DVD standard. Later comes the first European demo of DVD from Philips and Sony, but war over the format continues - Toshiba, Time Warner, Matsushita and others want a double-sided disc, while Sony and Philips want a single-sided, multilayered disc. By the year end it is agreed that two ultra-thin discs will be bonded together, with data read from just one side. There will, however, be a two-sided option if necessary. Sony promises digital camcorders this year and wall-hanging plasma TVs by 1996. DVD runs into trouble, as movie companies put obstacles up over copyright. Thomson announces the launch of a DVD player in October, while Panasonic releases one in Japan, due in the UK in February 1997. The Japanese Electronics Show in Japan sees a 40in plasma screen as well as 40in and 56in rear-projection sets from Toshiba. Channel 5 is given a broadcasting licence, the BBC warns of analogue switch off and DTS makes a big marketing push in the US. Panasonic's DVD-A100 - the UK's first DVD player - is on sale in June. Meridian unveils its high-end £2,200 DVD player. Philips plans Digimax, a new recording format with a high-density digital tape. Progressive scan TVs go on sale in the US. Various portable TVs are launched with surround sound and Sennheiser produces surround sound headphones. By May there are 50 titles available on DVD, though only 30 are Region 2 and the regional coding debate begins in earnest. Samsung announces the launch of a portable DVD player scheduled for autumn. Pioneer brings out the DVL909, which plays DVD, CD and laser disc. Digital TV broadcasts begin, though few STBs (set-top boxes) are available. A hard disk recorder, TiVo, is shown at the Amsterdam IBC broadcasting convention. DVD-Audio is in the pipeline, although it has a battle on its hands against SACD. The race to create recordable DVD begins. Panasonic announces that Audio Hard Disk Drive technology will appear later that year. JVC launches its first Digital VHS VCR and Hitachi comes out with the first VCR that will skip ads. Analogue switch off is rumoured to occur before 2010. Recordable DVD goes on sale in Japan in the shape of Pioneer's DVR-1000 (DVD-RW), while Samsung plans to unveil its DVD-RAM recorder in October. Panasonic postpones the launch of its DVD-Audio player until the end of the year. JVC, however, has its first DVD-Audio deck, the XV-D723G previewed. Sony announces its new Minidisk camcorder while the TiVo hard disk recorder arrives in the UK. Hitachi announces a DVD-RAM camcorder. Consumers looking for recordable DVD will have three choices by the end of the year: DVD -RAM, DVD+RW and DVD-RW as the +RW and -RW camps fail to unite. DVD Blu-Ray is announced - recordable disc format from Sony capable of storing the equivalent of five DVDs.